and over again in many forms, some of them very small. It’s the kindness that really matters and brings about results. This is a true story that had happened in 1892 at Stanford University. It's moral is still relevant today. campus to raise money for their education. The big day arrived. Paderewski performed at Stanford. But unfortunately, they had not managed to sell enough tickets. The total collection was only $1,600. Disappointed, they went to Paderewski and explained their plight. They gave him the entire $1,600, plus a cheque for the balance of $400. They promised to honour the cheque soonest possible. "No" said Paderewski. "This is not acceptable" He tore up the cheque, returned the $1,600 and told the boys "Here's the $1,600. Please deduct whatever expenses you have incurred. Keep the money you need for your fees. And just give me whatever is left" The boys were surprised, and thanked him profusely. It was a small act of kindness. But it clearly marked out Paderewski as a great human being. Why should he help two people he did not even know? We all come across situations like these in our lives. And most of us only think "If I help them, what would happen to me?" The truly great people think, "If I don't help them, what will happen to them?" They don't do it expecting something in return. They do it because they feel it's the right thing to do. 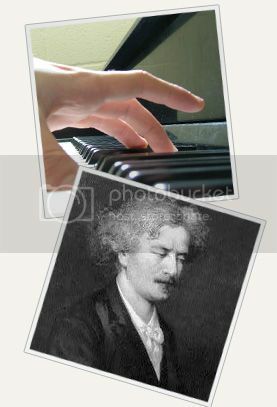 Paderewski did not know where to turn for help. He reached out to the US Food and Relief Administration for help. The head was a man called Herbert Hoover - who later went on to become the US President. Hoover agreed to help and quickly shipped tons of food grains to fee the starving Polish people. A calamity was averted. Paderewski was relieved. He decided to go across to meet Hoover and personally thank him. When Paderewski began to thank Hoover for his noble gesture, Hoover quickly interjected and said, "You shouldn't be thanking me, Mr. Prime Minister. You may not remember this, but several years ago, you helped two young students go through college in the US. I was one of them."